Over the years, studies have shown that wine consumers often can’t tell the difference between inexpensive and pricey wines in blind taste tests. 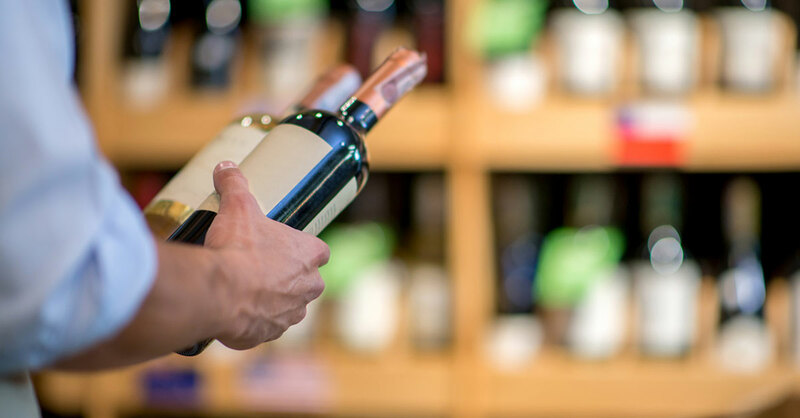 But what makes a buyer willing to pay more—or less—for a bottle? A group of researchers from the US, Hong Kong and Korea have identified a key characteristic that makes people most likely to fall prey to false cues to a wine’s value. They also found that if you like wine, you’re already on your way to overcoming it. The researchers conducted three blind taste tests on 619 men and women from North America, Europe and China who were all guests at a top boutique hotel in Hong Kong. Six wines—three whites and three reds—from five countries and six regions were served in three stages of testing. In the first taste test, 216 men and women were given samples of wines with no labels and no other information about them. In the second test, a group of another 202 testers were provided with the country of origin of each wine—but no information other than that—before the tasting. And in the final stage, a third group of 201 participants were given a full range of information about each unlabeled wine, including its grape variety, region and winery before the tasting. After each of the three tastings, participants indicated how much they would willingly pay for a bottle of each wine by selecting among 10 options ranging from “less than $10” to “$50 or more.” The wines came from well-known wine-producing regions in South Africa, Germany, Spain and Argentina…and, in the US, from the decidedly not well-known wine regions of Iowa and Wisconsin. Results: When the participants knew a wine’s origins, they indicated that they’d be willing to pay about $3 to $5 less for a bottle from Iowa or Wisconsin, compared with what they were willing to pay when they didn’t know where those wines came from. In fact, wine origins turned out to be the most influential factor among all those studied. You might be thinking, Wine from Wisconsin and Iowa—really? That’s likely what the wine tasters thought too! That’s what made them blind to their own taste-test preference for those wines. The truth is, there are some good wines now coming from these nonclassic regions. How can we stop paying attention to our stereotypes and find the best wines for the money? That is, how can we learn to trust our own taste preferences? When the researchers took a deeper dive into the data, they discovered that experience matters—country/state-of-origin information affected “novices,” who drank less than once a month, much more than it did “experts,” who drank wine more than once a week. These regular wine drinkers tended to rely on sensory qualities or taste to judge the wines they sampled. Indeed, infrequent drinkers indicated that they’d be willing to pay more for the wines they tasted, with and without extra information about them, than did regular wine drinkers. In other words, practice makes perfect. So if you enjoy wine regularly, your growing experience will likely help guide you toward the best values—and let you trust your taste. If you prefer to drink infrequently, just knowing about this study’s results should help you throw out your preconceptions. And if you still feel the tug of the familiar keeping you from exploring, you could try putting your trust in a family member or friend who enjoys a glass more regularly. A great source for both frequent and infrequent wine drinkers: Jeff Siegel, BottomLine’s Wine Curmudgeon, who recommends perfect wine pairings with food and whose tips for both inexpensive and pricier wines are always worth your money.